1. Identifying your target keywords for the best ROI (Return on Investment). 2. Writing terrific content that clearly explains and motivates readers to take action. 3. Develop a web following that is relevant and creditable. This following can be in the form of inbound links, but also can include social media references or viral email or video episodes. Having a dynamic mix of raving fans is the best way to go. Blackwood Productions has been helping businesses with their SEO/SEM for the last ten years. Currently we have over 38,000 small to medium to sized business websites under our management. We have managed through many of the major search engine algorithmchanges like Google’s recent “Panda” and “Penguin” updates and we foresee spam control measures continuing into the future. It’s easy not to get penalized by these updates, just don’t use spam strategies when telling your story. We have designed our WebWorks Internet Marketing Platform to minimize the repetitive and time consuming tasks associated with good SEO. Our emphasis is on automating the SEO page creation process and lowering the barriers for relevant businesses to find you and to link to your site if appropriate. Determining the relevant value of a linking partner, as it relates to your offering, is one of the services we provide. However, all linking is ultimately controlled by you. We approach SEO/SEM from a keyword prospective. We help you to find the best keywords to meet the website’s performance expectations. Then we identify the family of words that normally appear with the target keyword, some call these words “collocates” BWP created a collocate tool so that we may identify keyword vectors that google uses to rank content, you can try the tool out for free ( Collocate Tool ). By having the target keyword’s collocates integrated into the page content will help to raise the content’s authority when indexed by the search engines. Our professional writers research content topics prior to writing the first draft and discuss the best way to present the call to action for each page. Next, the system will automatically check to see what existing websites are relevant and would contribute to the growth of the target site. Over 38,000 businesses are exchanging links inside the Webworks system remember everyone that is using the Webworks acess plan has already been reviewed and approved to be a link exchange partner so when you join, you are joining an authoritative hub of like businesses that now links back to you. You have the ultimate control over the links as you can enable and disable any of your link partners and remember everyone that joins the Webworks System goes through an intense review process to prove thier worthiness to obtain monthly Webworks acess.. All generated link connections consist of real business websites, with unique IP addresses, that possess Page Rank (Google PR Rank) these sites are not owned by Blackwood Productions they are independant businesses that have chosen BWP to handle their link building process. By opting in the Webworks Directory or any of the other Webworks Acess plans you are opting out of chaos on the web and entering a Platform that has protection safe guards built in place so that you do not pay the price of penalties nor do you pay the price of lost revenue on SEO and Internet marketing scams that plauge the industy. Again, it is only through automation and over 10 years of building and refining the Webworks System that we can deliver such a high quality pool of potential linking partners. At the prices we are competing at most of our competitors stumble when asked about inbound links and if they do provide them, they usually come from a contrived blog or directory networks. Remember if it is not relevant to your website it should not be linking to you and if these links are not generated in some form of mutual consent then they may be considered spam which may leave your website open to penalties. 1. Keyword development complete with collocates. 3. 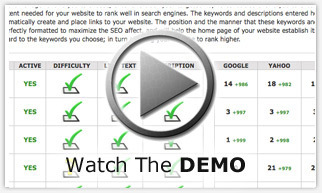 Dedicated and perfectly optimized content pages by keyword. 4. Inbound linking from relevant Opt In businesses with unique IP addressed websites. • Private dashboard access for site and account management. (Webworks Dashboard). • Integrated blogging (No data base hookup required). • Live social media icons, YouTube video, lead capture and Google Maps included on every page. • Full access to “Web Tabs” to enhance customer/site interactivity. • Automatic XML sitemap creation triggered by any site changes. (Weekly sitemap submissions). • 24/7 site monitoring (Up time, malware detection, hacking attempts, DNS problems, etc.). • Link alert (Alerting you to new link partners that have joined your category). • New link partners each month as new members join your category of business. • Human monitoed link exchange on your companies behalf via our add url feature. • Full operator control of all linking partners. (A quick easy enable disable button). • Integrated Google Maps, Google Analytics and Webmaster Tools. • Weekly rank reporting for Google, Yahoo, and Bing. 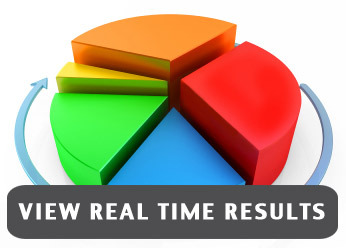 • Real time website activity monitoring and logging accessible from a private dashboard.